Today I was reading the news on BGDailyNews.com, a news website for Bowling Green, Kentucky. Then I noticed an interesting advertisement which looked like a scam. I have been documenting Internet scams for a while here on this blog. 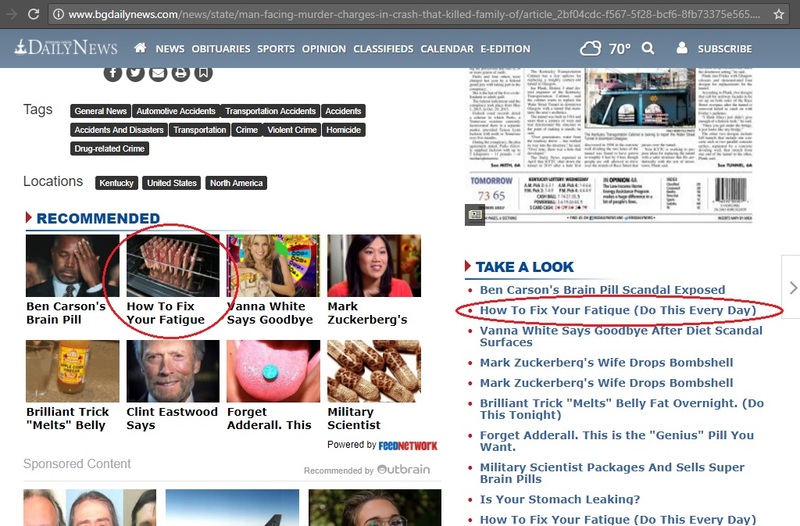 I have been seeing lots of scams, fake news and deceptive ads showing up on various publisher and news websites, even on CNN. 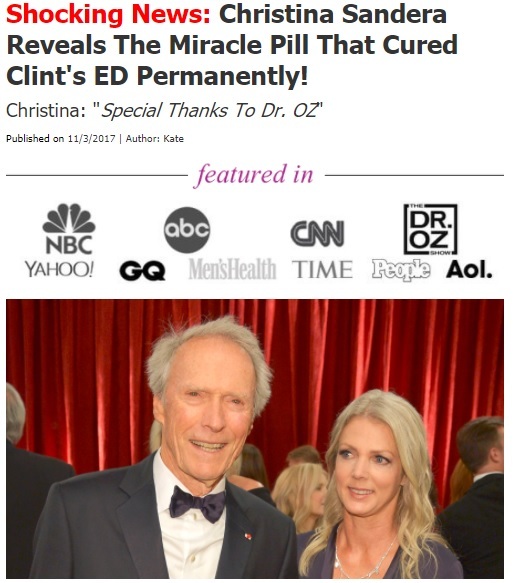 For what it’s worth, I do not think Clint Eastwood has erectile dysfunction. Or, maybe he does. If he does I doubt he’s advertising it…. PUNK. This page id deceptive and misleading as it is designed to look like a news website that many people are familiar with and has fake stories on it. Now on the page there are a bunch of scare tactics to the effect of “time is running out” or “limited availability”, etc. Some people in the world of Internet marketing call this a “squeeze page”. 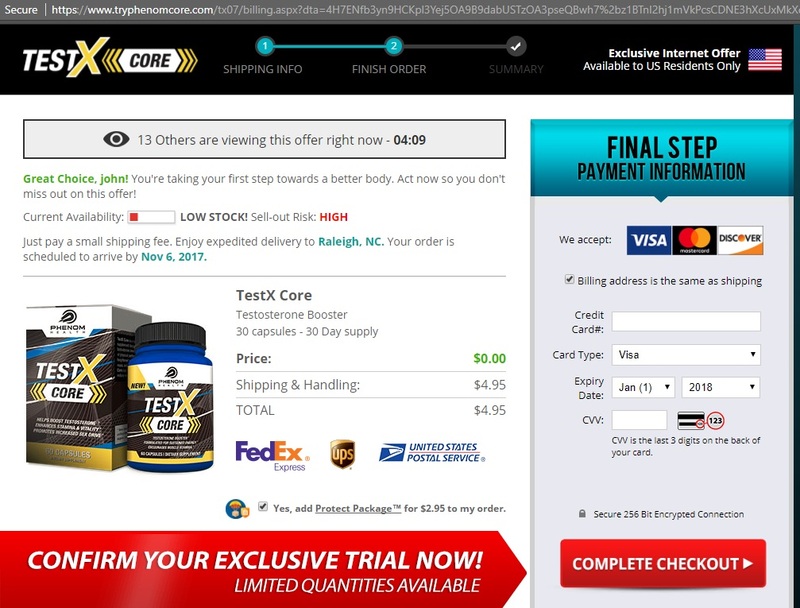 As you can see, people are now pressured into making a purchase as “time is running out!” It also appears that you’re getting TestX Core for free and just paying the $4.95 to ship it. However, that isn’t what is happening. People who pay the $4.95 soon find out that they are now a subscriber and that their credit card is being charged around $90/mo. When you were being rushed to “hurry” you didn’t notice the tiny grey on white print at the bottom of the page all jumbled together that says you’re now a member! Were you tricked by this scam? Which Testosterone Supplements Actually Help? 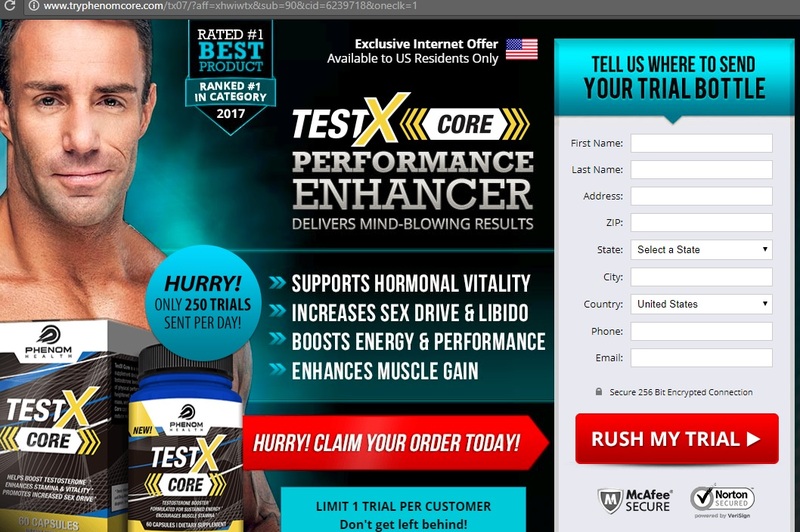 After receiving numerous emails of men in their 40’s, 50’s, 60’s and 70’s asking me which testosterone supplements may help, I decided to do some research. There are indeed 2 very highly rated products for sale and one of them is the best selling in the USA. Best of all, they have thousands of legitimate reviews from verified users, and you can get them right from Amazon so there is no need to worry about mysterious charges appearing on your credit card. 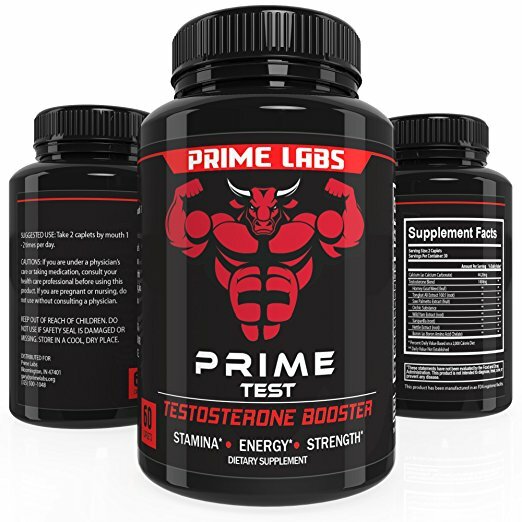 Buy Prime Labs Man’s Testosterone Supplement on Amazon here. 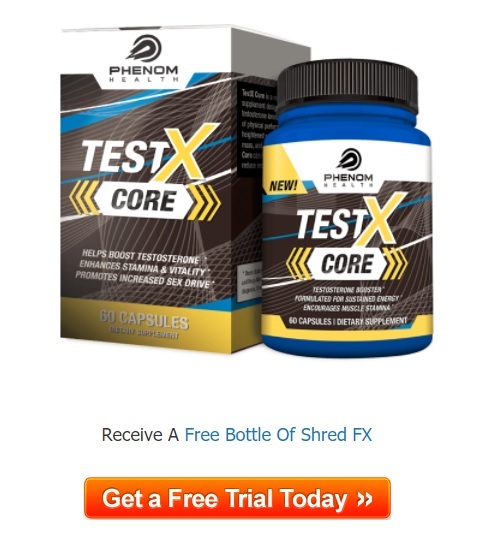 At the time of this article, this supplement had 2,701 reviews with a 4.5 star rating and was $19.99 with free shipping for 60 caplets. 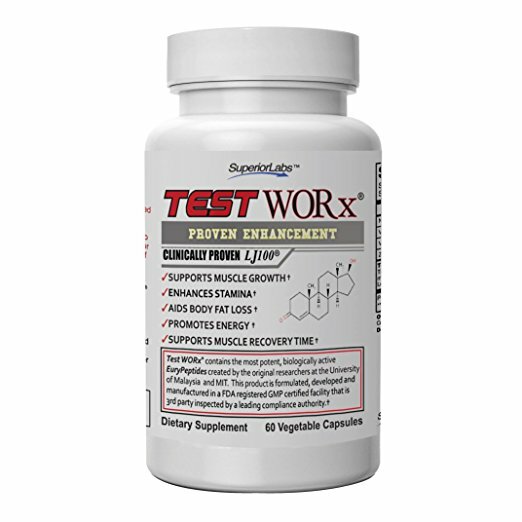 Buy TEST WORx Testosterone Booster on Amazon here. At the time of this article, this supplement had 5,638 customer reviews with a 4.5 star rating and was $59.95 for 60 capsules. Please note: These are indeed Amazon affiliate links, which means I get a small commission if someone goes to Amazon and buys them. I am not a doctor and have no idea if these will help anyone, but going off of what 8,500 other people had to say it appears that these pills are made in the USA, they are not crappy caffeine pills, and the benefits are claimed by the users of these products, not a fake webpage impersonating a genuine news website. So, you be the judge. And if you suspect a hormone issue, see your doctor, they can issue prescriptions which may help you. How do I make the recurring credit card charges stop?! You will either have to call the number which was on the website or cancel the charges with your credit card..